Hadith no. 1582 (below) is a repeat. Read it here. 1. “No lady should travel without her husband or without a Dhu-Mahram for a two-days’ journey. 2. No fasting is permissible on two days of ‘Id-al-Fitr, and ‘Id-al-Adha. 3. No prayer (may be offered) after two prayers: after the ‘Asr prayer till the sun set and after the morning prayer till the sun rises. The Prophet (sallallaahu `alayhi wasallam) saw an old man walking, supported by his two sons, and asked about him. The people informed him that he had vowed to go on foot (to the Ka’ba). He said, “Allah is not in need of this old man’s torturing himself,” and ordered him to ride. Narrated Abu-l-Khair from ‘Uqba (radiallaahu `anhu) as above. I’ve had to do a detailed study on this matter. Bear with me till the end please. I hope I’m able to make the reader understand the concept fully inshaAllah. Conditional vows, in which the vow is dependent upon something happening, as when a person says, “If Allaah heals me, I will give such and such in charity, or I will fast such and such a number of days,” and so on. Whoever vows to obey Allaah, let him obey Him, and whoever vows to disobey Him let him not disobey Him. The best of you are my generation, then those who follow them, then those who follow them, then those who follow them. 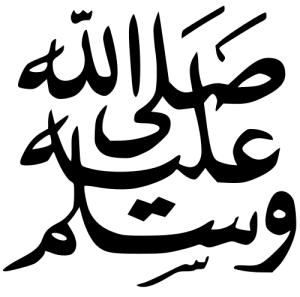 ‘Imraan said: I do not know whether the Messenger of Allaah (peace and blessings of Allaah be upon him) said, “and those who follow them” two times or three. Then after them will come people who will bear witness without being asked to do so, who will betray and not be trustworthy, who will make vows but not fulfill them, and fatness will appear among them. “Allaah will not punish you for what is unintentional in your oaths, but He will punish you for your deliberate oaths; for its expiation (a deliberate oath) feed ten Masaakeen (poor persons), on a scale of the average of that with which you feed your own families, or clothe them or manumit a slave. But whosoever cannot afford (that), then he should fast for three days. That is the expiation for the oaths when you have sworn. And protect your oaths (i.e. do not swear much). Thus Allaah makes clear to you His Ayaat (proofs, evidences, verses, lessons, signs, revelations, etc.) that you may be grateful. Whoever swears an oath then sees that something else is better than it, let him do that and offer expiation for his oath. The scholars have differed on this: if the vow entails extreme unnecessary hardship, should it still be fulfilled? The sound and more correct opinion is that it’s better to break that vow. And no expiation is to be offered for breaking (only) this kind of vow as the narrations above indicate. Prophet (sallallaahu `alayhi wasallam) did not order that man to offer any expiation. He was only asked to break his vow since it was bringing unnecessary hardship. Book of Penalty Of Hunting While on Pilgrimage ends here. 1. The ruling on a woman travelling alone can be read upon here. 2. I repeat this statement to emphasize on it: “no man may visit her except in the presence of a Dhu-Mahram“. PLEASE follow this advice. Visiting can be physical and virtual (online/phone etc. ), if you know what I mean..
And in the second narration, the wife herself stayed back and sacrificed so her husband could perform Hajj easily.. Prophet (sallallaahu `alayhi wasallam) consoled her advising her to perform `Umrah in Ramadan so she wouldn’t miss out on the reward. I said, “O Allah’s Apostle (sallallaahu `alayhi wasallam)! Shouldn’t we participate in Holy battles and Jihad along with you?” He replied, “The best and the most superior Jihad (for women) is Hajj which is accepted by Allah.” ‘Aisha added: Ever since I heard that from Allah’s Apostle (sallallaahu `alayhi wasallam) I have determined not to miss Hajj. It was reported that ‘Aa’ishah (may Allaah be pleased with her) said: I said, O Messenger of Allaah, do women have to do any kind of jihaad? He said, “Yes, they have to do the kind of jihaad in which there is no fighting: Hajj and ‘Umrah.” (Reported by Ahmad, 6/68; Ibn Maajah, 2/968). The Prophet (sallallaahu `alayhi wasallam) sent me (to Mina) with the luggage from Jam’ (i.e. Al-Muzdalifa) at night. (While in the company of my parents) I was made to perform Hajj with Allah’s Apostle (sallallaahu `alayhi wasallam) and I was a seven-year-old boy then. I heard ‘Umar bin ‘Abdul Aziz telling about As-Sa’ib bin Yazid that he had performed Hajj (while carried) with the belongings of the Prophet (sallallaahu `alayhi wasallam). Hadith No. 1568 (below) is a repeat. Read it here. A man bit the hand of another man but in that process the latter broke one incisor tooth of the former, and the Prophet ( ) forgave the latter. So the scholars have said that there’s no kaffaarah for the one who bit the hand. Also, the one who snatched away his hand should’ve freed himself some other way instead of breaking the other’s tooth. P.S. I don’t know why, but this incident seems sort of funny to me.